The first drone I ever flew (and crashed about 5 seconds later) was a DJI Flame Wheel. The first drone I ever owned myself was an original DJI Phantom. So it’s incredibly exciting to be a flying a drone that is so far ahead in its technology that it literally can sense and avoid objects in front of it. What’s even more exciting is those Flame Wheel days were only about three years ago. I would have never guessed a Phantom 4 would exist as it does today even a year ago. For $1,199, you can get a Phantom 4, launched in March 2016, — and it’s truly an incredible piece of equipment. The propellers auto-lock as an extra safety feature. The Phantom is pretty much ready to fly out of the box. There are auto-locking propellers you’ll have to put on. You also will fly with the RC transmitter, but to get that first person (FPV) view, you’ll need to use a smartphone or tablet to see what the drone’s camera sees. 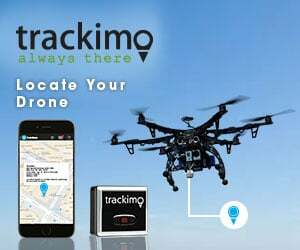 You can do that by connecting it to the DJI Go app. The camera has eyes! Check out those two sensors on the front. The real standout point here is two front obstacle sensors combining with advanced computer vision and processing to give the Phantom its “Obstacle Avoidance” feature. In a nutshell, even if you have the drone pointed at a wall at full throttle, it will just hover in a locked position a safe distance from the wall. The obstacle avoidance does have limitations. Sensors are located only on the front and bottom of the drone, so it is not able to sense obstacles if it is flying backward or laterally. But while the sense-and-avoid technology is not perfect (it also occasionally gets tripped up in really bright light), it’s a critical step in making other processes possible, and I anticipate future versions including obstacle avoidance sensors on more sides than just the front. You can select different flight modes via the DJI Go smartphone app. I had so much fun testing out the flight modes on this drone. There’s Tap Fly, so you can actually tap an area of your smartphone and your drone will fly to where you tapped (sense and avoid ensures no crashes). Another awesome mode is Active Track. It actually senses a subject you have pre-selected and follows them. This is great because it does “Follow-Me” without requiring more stuff. No wearable tracker, no other smart device — just yourself. Sport mode is a fun intro to racing. In Sport Mode, your drone can fly about 45 mph. The one thing to remember here is that Obstacle Avoidance turns off in Sports Mode, so if you look like you are headed into a wall, yep, you’ll crash into that wall. The Phantom 4 is a more modern take on the traditional Phantom. I am impressed by how durable the Phantom is. I had a little mishap, and let’s just say a Phantom ended up in a tree. With some prodding of the tree, we got the drone to drop to the ground, and there were no damages except grass stains that were easily wiped off. The camera, legs and propellers were all perfectly intact! I’m impressed how durable the Phantom 4 is! I also love the carrying case it comes with. The Phantom is sized really well into a smaller-than-carry-on sized case that I have no problem traveling with my Phantom. This shot is of Collision Avoidance in action. We tried flying this drone into a tree. It never hit the tree! Success! This drone is incredibly impressive. It’s easy to use, smartly designed, safe to fly, and produces incredibly quality video. Right now, the Phantom 4 is $200 more than the Phantom 3 Professional, which is the other DJI drone on the market right now that offers 4K quality video — a must have for professional photographers. I’m not sure if the obstacle avoidance is worth the extra $200 since it should only be used as a last-resort safety feature given how it only has forward facing sensors. However, I really enjoyed the kinds of shots I got from the different modes. Modes like Active Track really give my video a professional quality if I needed to keep my subject in the center of the frame — something I simply couldn’t achieve flying manually. For someone really looking for that top-notch film, the Phantom 4 is an incredible addition to DJI’s stellar lineup. I love how it’s professional grade video, but it’s accessible and convenient enough for my friends to use at their picnic too. Have you flown the DJI Phantom 4? Let me know your thoughts in the comments! Well done Sally. If I had a practical use for a Phantom 4, I would certainly purchase one. Great review, and it is really nice to know that more and more women are becoming a part of the drone world hobby 🙂 I really liked the part where you explained the sense avoid technology and the fact that it only avoids objects in front of the drone. What about when you are flying sideways? They should really think about that and make models that are aware of the entire surroundings, and they probably will with the Phantom 5 🙂 Also, I believe that you would be interested in reading a review with a different angle http://mydronelab.com/reviews/phantom-3-drone.html and tell me what you think. Once again, thanks for a great review! Phantom 4 is a great drone and it has finally upgraded to some greater things but as a beginner, it won’t be great to fly. Plus it is not that user friendly (only if you dont know how to control a drone). But you are going to love the amazing image quality it has to offer. ONCE you know how to fly it and control it.